Multifunction winter jackets are made of both waterproof and breathable extermly durable material which protect the wearer against different hazards he is exposed to ( such as rain and the risk of accidants with motorized vechiles..) The base fabric is coated with PU and an extra layer is added to make a 3-layer combination. The jacket meets high demands for wear resistance and function. All fabrics are industrialy washable. 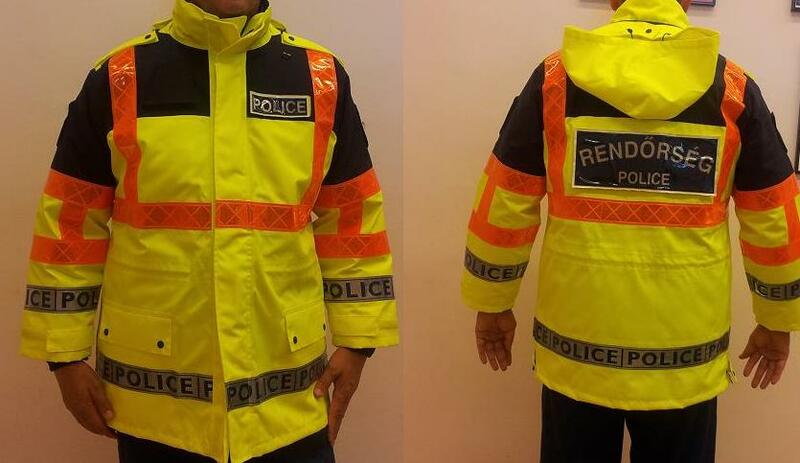 The multifuncional jacket ensures visibility and offers protection against rain.